For many drivers, your car is a major investment that you want to preserve for years to come. Although that new car smell eventually fades, you can keep your vehicle running smoothly and safely with some routine love and care. 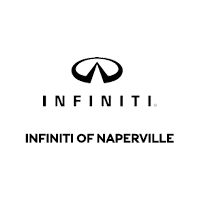 With regular visits to INFINITI of Naperville, INFINITI owners near Naperville can not only prolong the years their car, truck, or SUV stays on the road, but help protect the resale value. Whether it’s a quick oil change or major repair, our team of technicians are experts with INFINITI models inside and out. From the shiny exterior to the intricate inner workings, you can trust your vehicle will be properly taken care of at our INFINITI service center. We recommend you familiarize yourself with your model’s owner’s manual to stay on top of regular vehicle service. You can also find some winter maintenance tips or learn how to replace your INFINITI key fob through our blog. Not sure what service your vehicle can use? Check out the INFINITI maintenance schedule.